Lee’s Heating and Air presents a variety of furnace maintenance services intended to help you save money. Lee’s not only offers super affordable pricing for our services but when your heating system is performing at peak efficiency, you can save thousands of dollars on your utility bills in the long run. Heating systems can be trouble-free and easy to maintain. 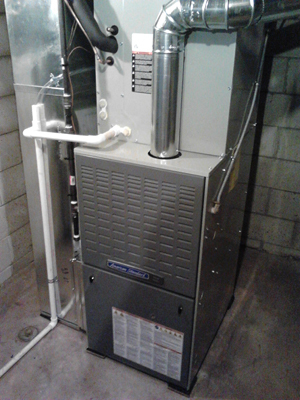 Efficient operation is a function of professional and consistent furnace maintenance. No matter what type of furnace you have, the technicians at Lee’s Heating and Air have the experience and expertise to keep your heating system working to its fullest potential. Without this yearly cleaning and inspection, your furnace can quickly wear itself out, pump deadly carbon monoxide into your home, or even stop working. Lee’s has around the clock service available to you. So regardless of what situation you’re caught in, we can have one of our certified technicians at your home within 24 hours without draining your wallet. Lee’s Heating and Air serves the greater Salt Lake valley including Draper, Riverton, Bountiful and Sandy. If you are ready for a tune up or other Furnace maintenance Salt Lake City, call Lee’s Heating and Air at 801-747-LEES (5337) or fill out the form on the right of this page so we can contact you.